A divided Indiana Supreme Court looked to the Articles of Incorporation of the Indiana Youth Soccer (“IYSA”) to find that no insurance coverage was owed when one of its member teams, the Carmel Commotion, was involved in an automobile accident during an out-of-state trip. Youth soccer players were injured in the accident when the team was going to a “team building” white-water rafting trip while in Colorado for a tournament. In Haag v. Castro, three justices on the Indiana Supreme Court interpreted the IYSA’s bylaws to mean that the IYSA was “in the business of” (i) promoting, (ii) regulating, and (iii) conducting, but not in competing. 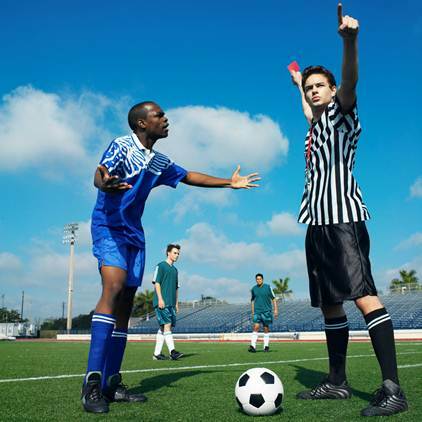 Since the Carmel Commotion were traveling in conjunction with competing in a tournament when they were involved in an automobile accident, the Court held that the IYSA’s commercial lines policy did not apply. Justice David did not participate in this decision. Justice Dickson dissented disagreeing with the majority’s “narrow characterization of the ‘business’ of the IYSA” and arguing that the insurance contract was ambiguous. Haag serves as a warning to all sports and other youth-related organizations to double-check their existing bylaws and insurance policies to ensure that there are no potential gaps in coverage. It’s funnier if you imagine John McEnroe screaming, "Are you serious? You can’t be serious! You CANNOT be serious!" This entry was posted in Appeals Attorneys, Appellate Court Indiana, Appellate Judge, Coverage Disputes, Indiana Courts, Insurance, Insurance Appeals and tagged Commercial Lines Policy, Indiana Supreme Court, Insurance. Bookmark the permalink.